Over the years it feels as though I've tried every cookware brand under the sun. I do believe I've finally found fry pans that are non-stick, won't kill us with toxins and (ready for this?) can even be tossed in the dishwasher (although I don't dare try it myself). As a girl who loves to cook and makes an omelette almost every day, I can assure you my standards for a non-stick pan are very high. 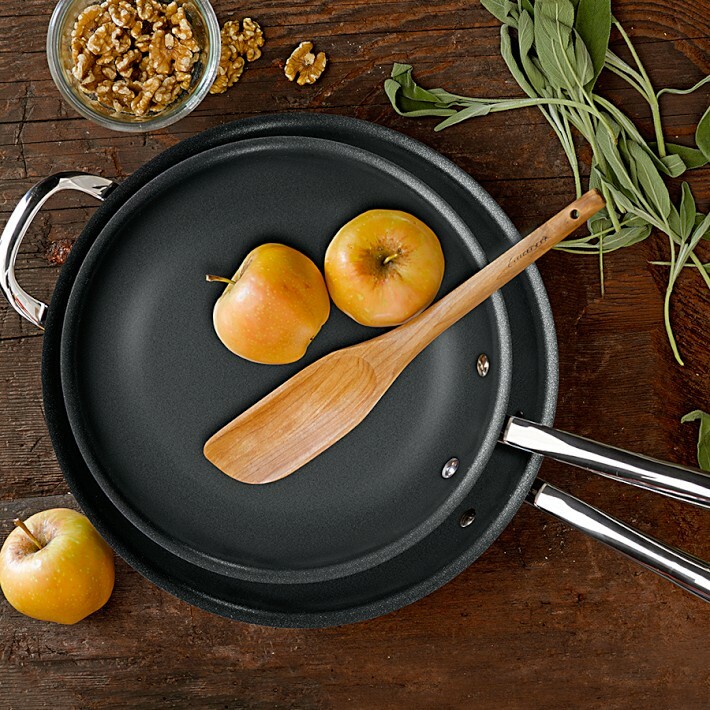 Add to the obvious requirements that I now want pans that won't leak metal and toxins and chemicals into my food and you've created quite the challenge to find great cookware in the marketplace. A little research will tell you, however, that they do seem to exist. Which ones did I settle upon? I examined All-Clad, Le Creuset and other brands in person as well as through online reviews. All of these brands have upsides and huge followings, but for me they weren't quite the right fit. Fast forward to this moment and I'm happy to announce I am in love with these from Williams-Sonoma. If you are in search of well-priced cookware that won't poison you with toxins over time and proves to be (thus far) truly non-stick with daily repeated use I do believe I've found them in these beauties. Did I mention they come with a lid and can even handle metal utensils? The Holy Grail of cookware. I can't wait to buy more!